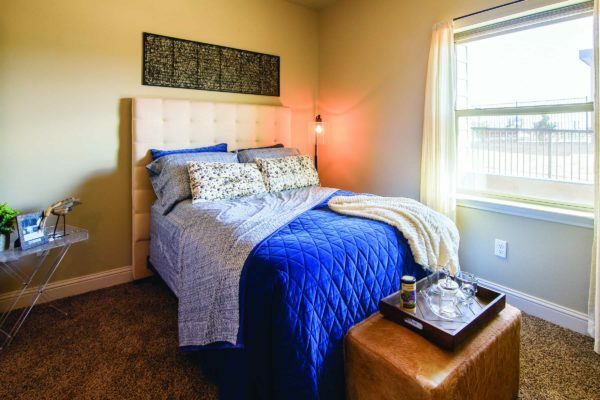 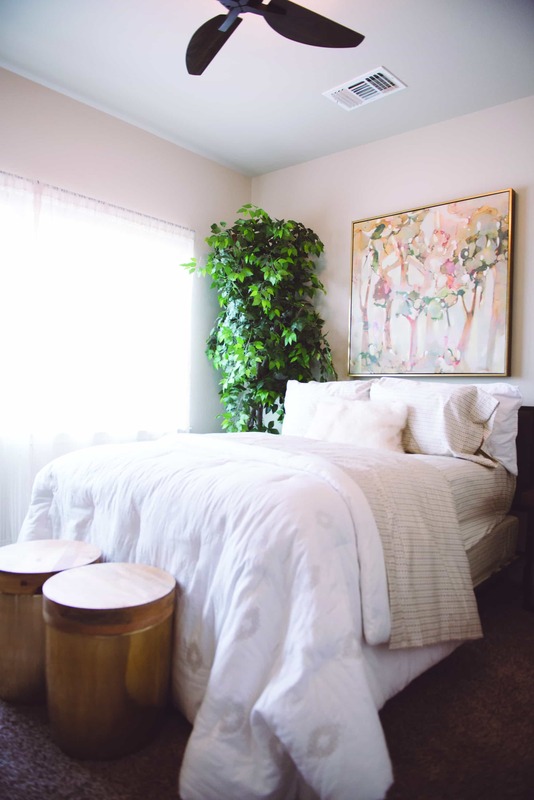 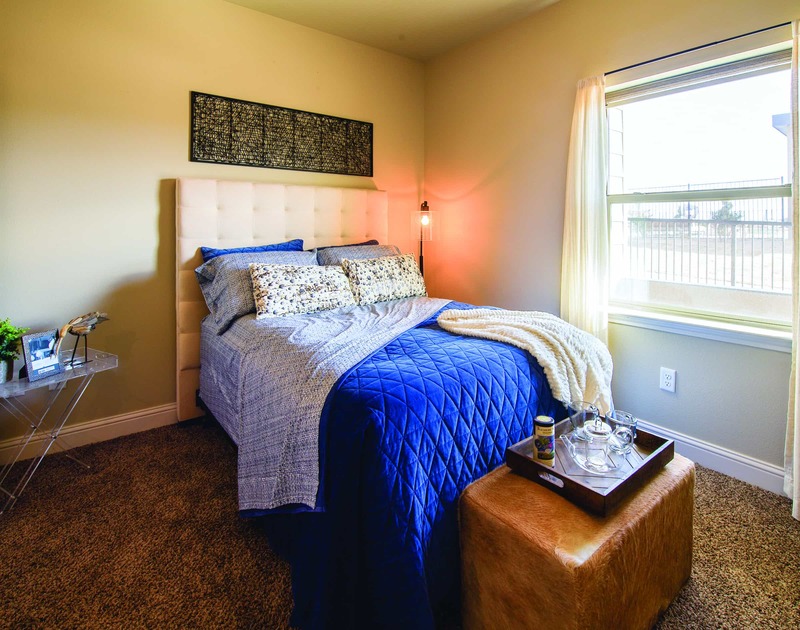 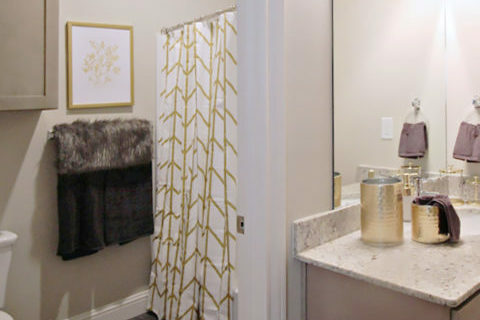 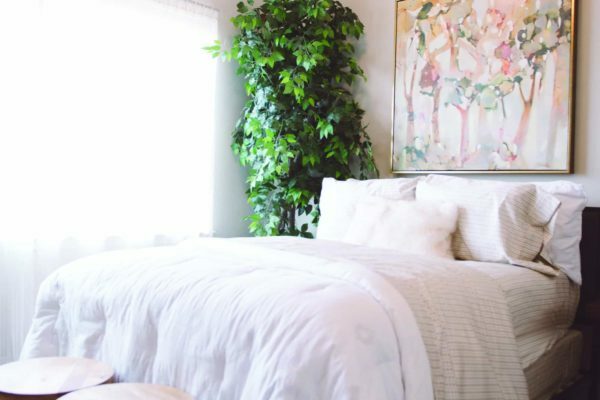 This inviting one bedroom, one bathroom Lubbock apartment home was designed with you in mind. 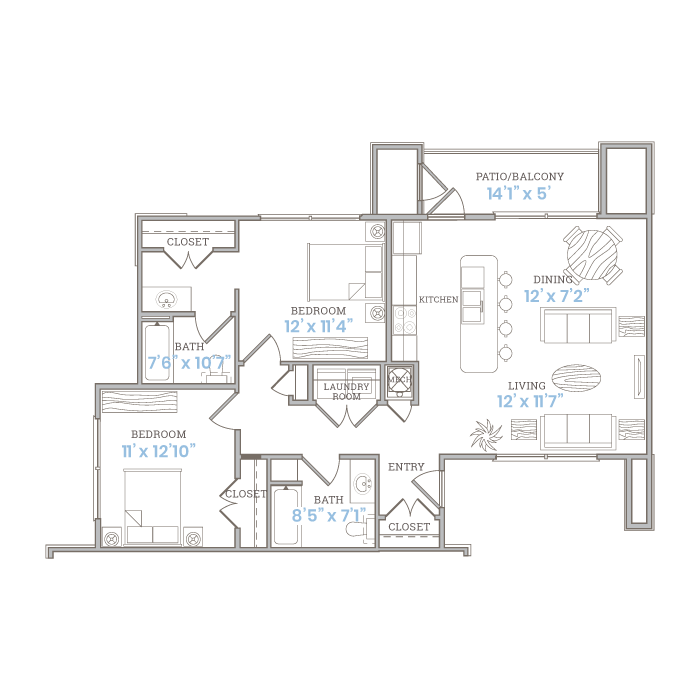 The Avalon Floor plan includes a unique walk-thru allowing the bedroom direct access to the bathroom. 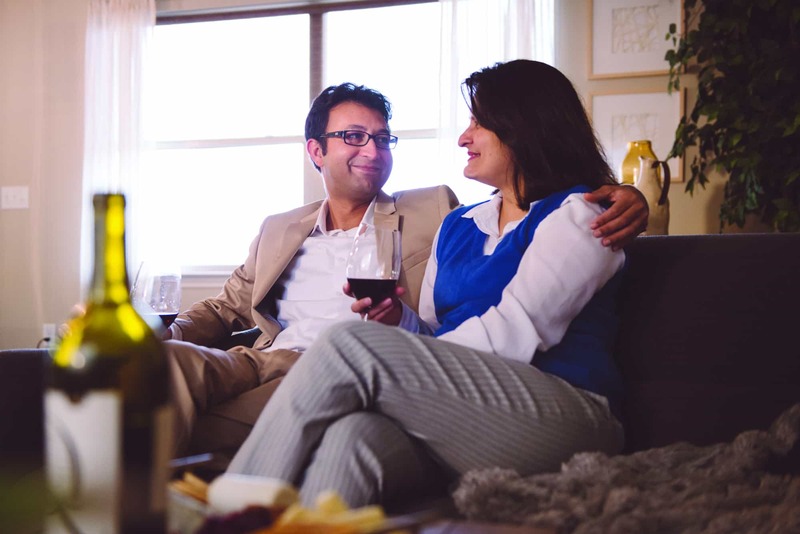 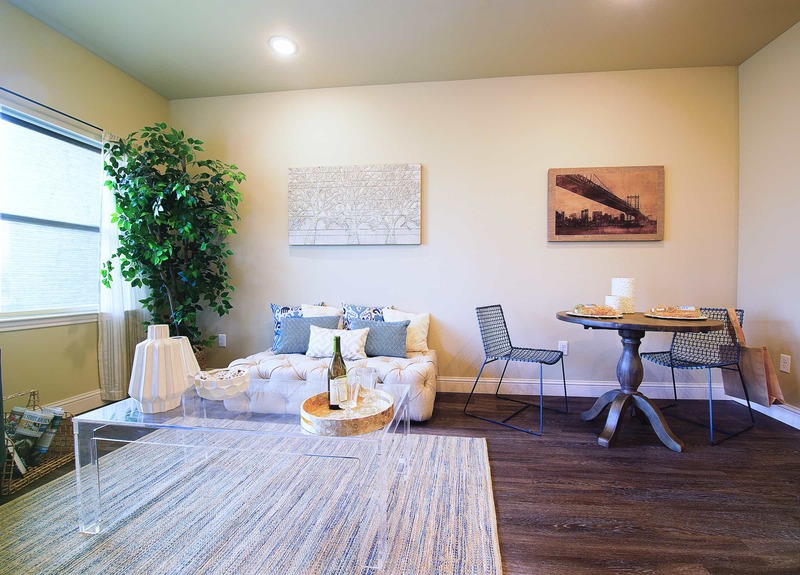 Turn home into a modern-day hideaway with generous living spaces and a gourmet eat-in kitchen. 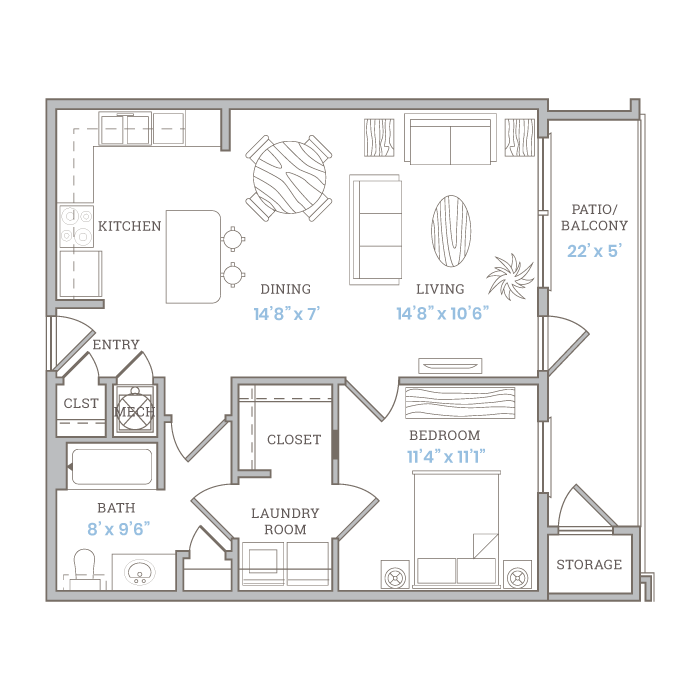 Off the kitchen is 28 feet of dining and living space leading out to 22 feet of balcony space featuring an outdoor storage closet. 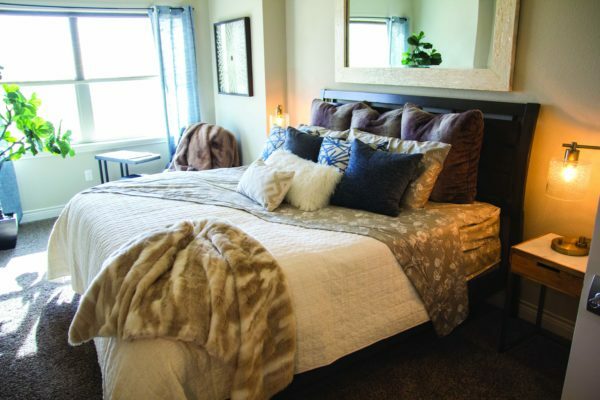 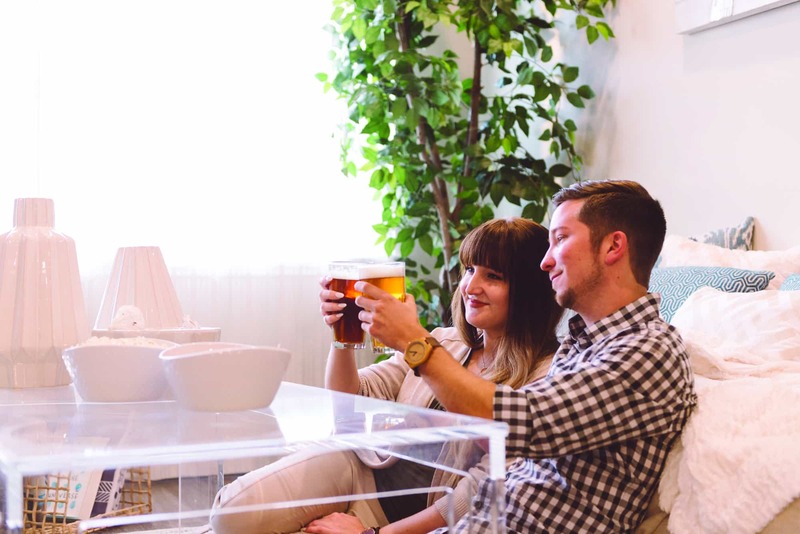 The Avalon is one the best apartments Lubbock has to offer for entertaining guests and family. 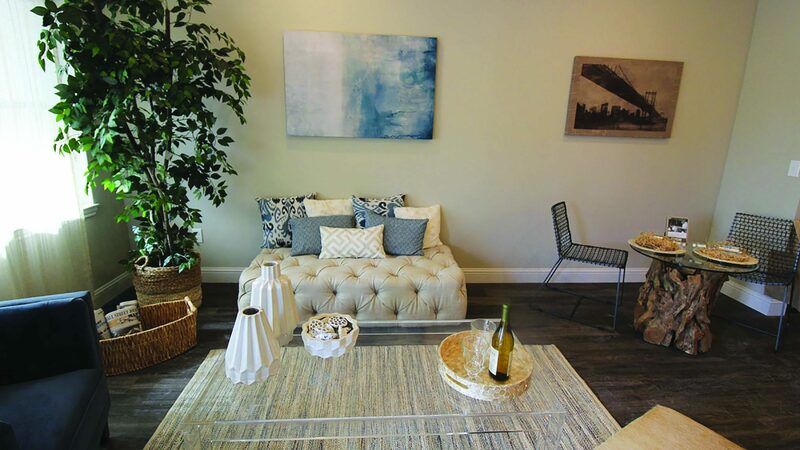 The Del Mar offers a sense of unique comfort inspired by the coastal city. 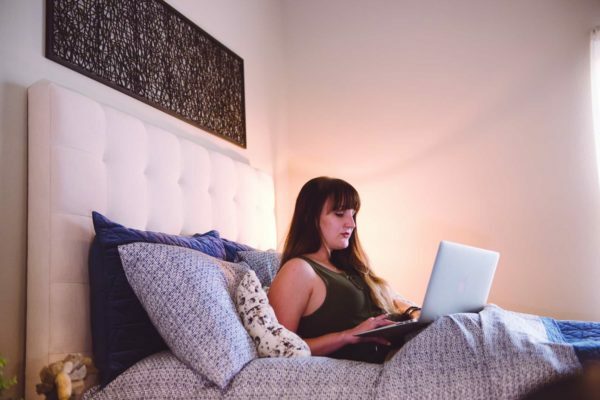 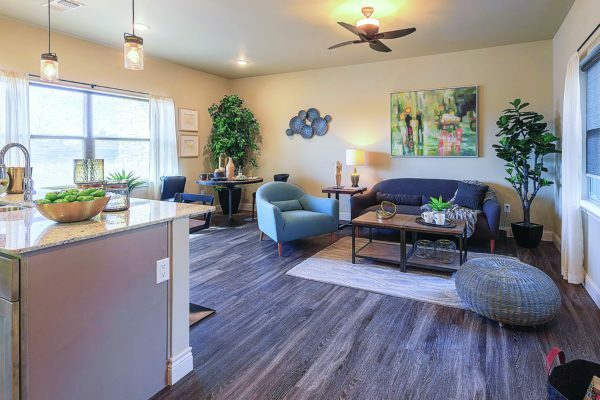 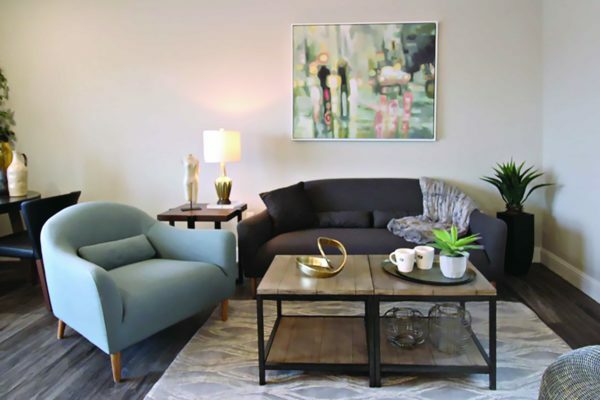 This spacious two bedroom, two bathroom Lubbock apartment home includes a comfortable master suite with an extra seating area, as well as a spare bedroom. 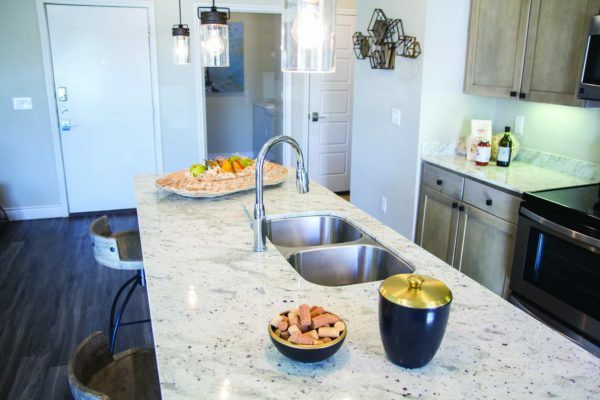 The large kitchen, featuring a floating island, is conveniently equipped for countertop dining. 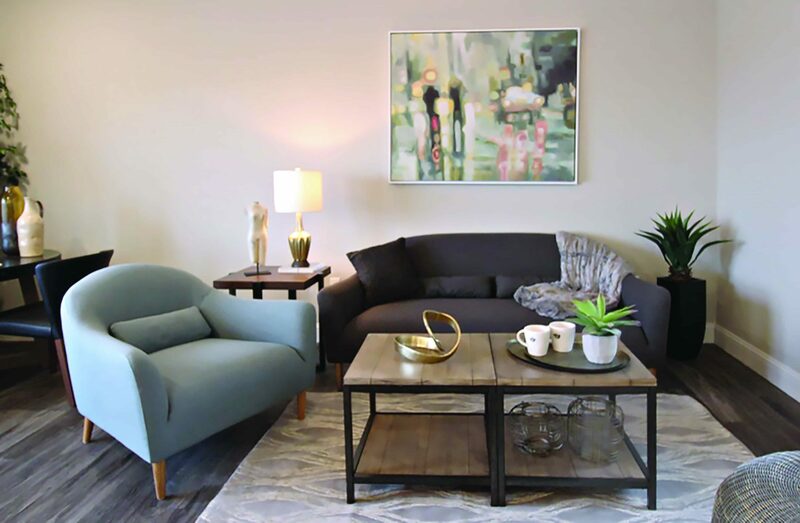 The open living space added with an extra storage closet makes this luxury apartment ideal for a two-bedroom living situation or for someone seeking a home office. 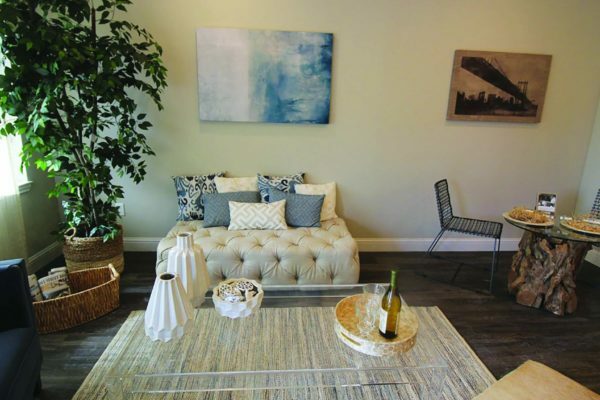 Named after the famous Sonoma wine country, this floor plan offers the eclectic comfort you’ll love to call home. 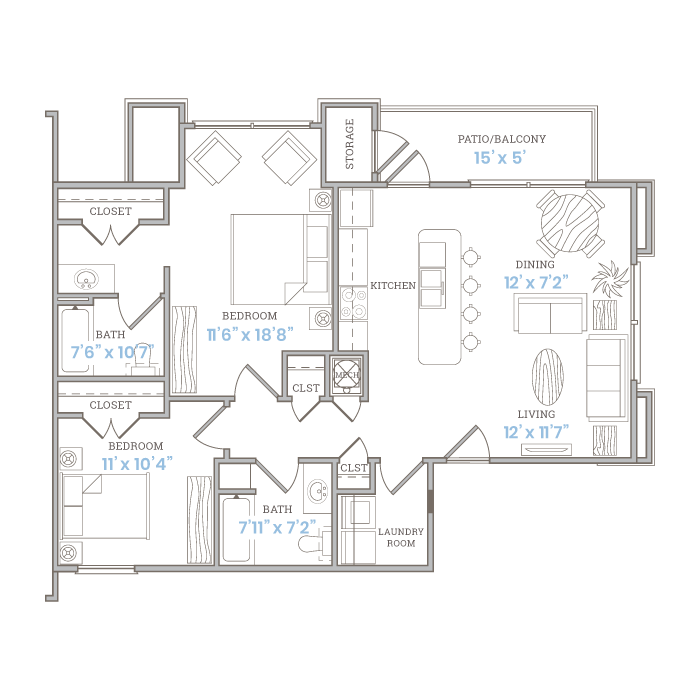 With two equal sized bedrooms, this floor plan is perfect for anyone seeking a second bedroom or a large home office. 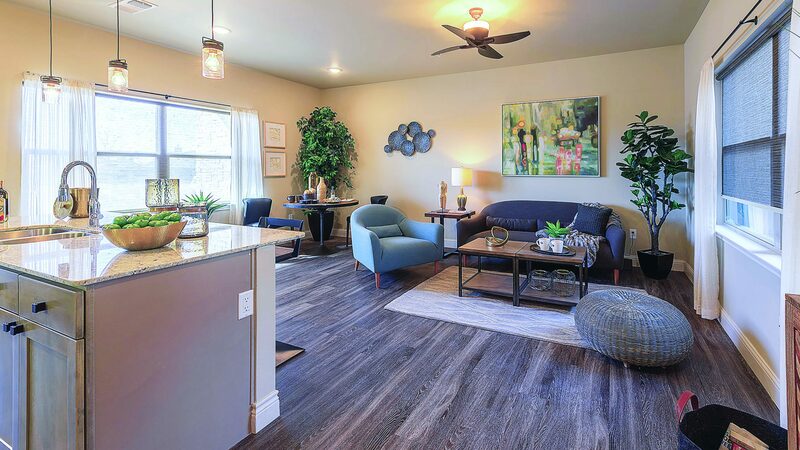 A spacious kitchen with a floating island, open living space, and two full bathrooms make the Sonoma the perfect apartment for gathering people together. 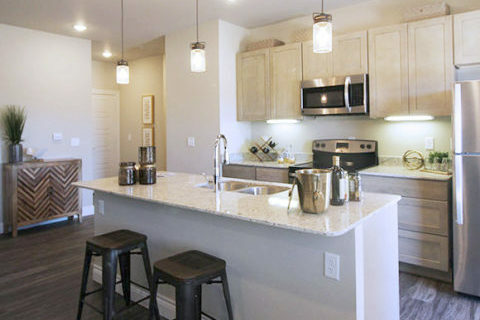 The Malibu townhome is a sprawling modern villa offering an ensuite master bedroom and two spacious spare bedrooms. 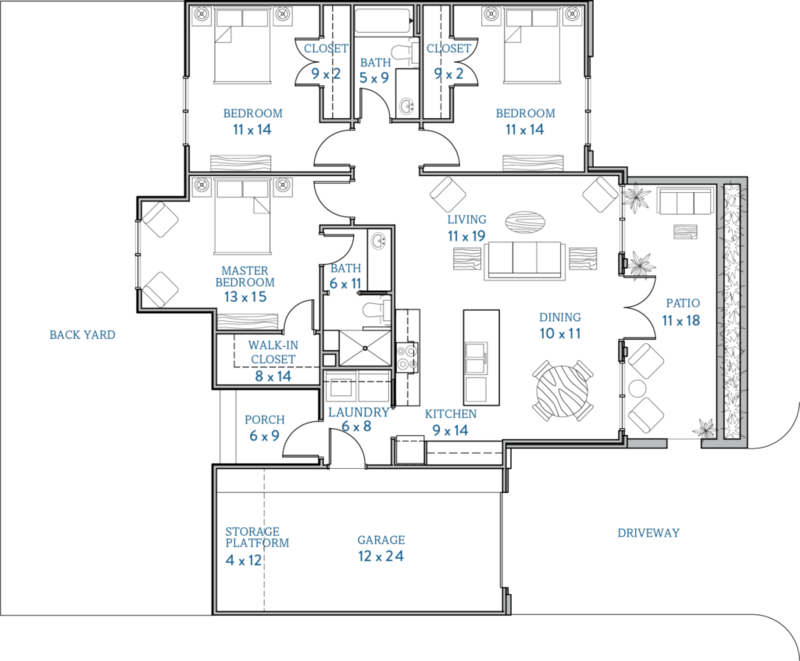 With a double-door entry from a private front patio, the open concept design offers high ceilings and a large dining space. 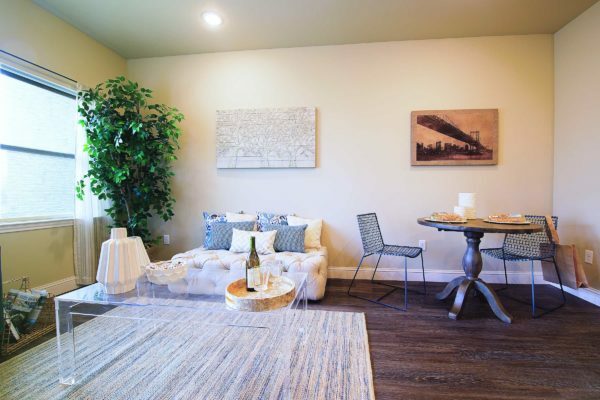 No comfort has been spared including a direct-access garage and private enclosed backyard. 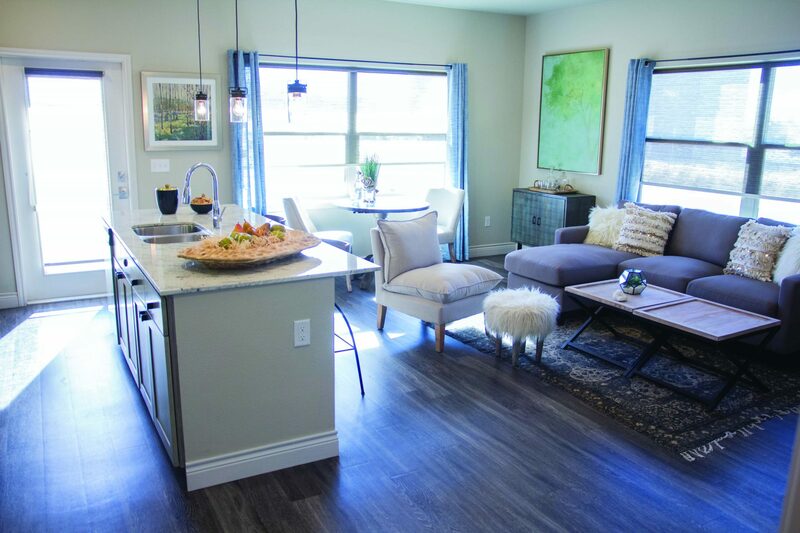 The Malibu puts the “home” in townhome.